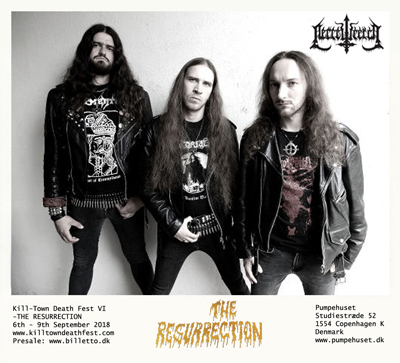 Killtown Death Fest » Announcement #17 : NECROWRETCH (fr) returns to KTDF! Announcement #17 : NECROWRETCH (fr) returns to KTDF! The band we are about to announce contacted us when we had just started organizing the first edition of the fest back in early 2010. Back then just a demo band, but we could hear the potential in their music and the burning passion behind this project so we decided to give them a shot. Now 8 years later, 3 full-lengths, 3 EP´s and 2 compilations down the road NECROWRETCH has come a long way and developed into one of the main contemporary French death metal bands and we are proud to have them back at KTDF VI! Necrowretch was started in Valence, Rhône-Alpes in 2018 by guitarist Vlad with “the impure intention to play sadistic-gravecracking-possessed death metal”. After recording demos through Skeleton Plague Records, Aural Offerings Records, and releasing 2 EP’s through Detest Records, Necrowretch signed to Century Media Records in 2012, releasing 2 full length albums before signing to Seasons of Mist who released their latest album “Satanic Slavery” in 2017. Inspired by Swedish extremists like Merciless, Nihilist or Marduk over to Finnish legends Impaled Nazarene or early US brutality like Death, it is Vlad’s rabid screams, the fast played, occasionally even melodic black metallic riffing that defines their trademark vicious and maniacal sound. 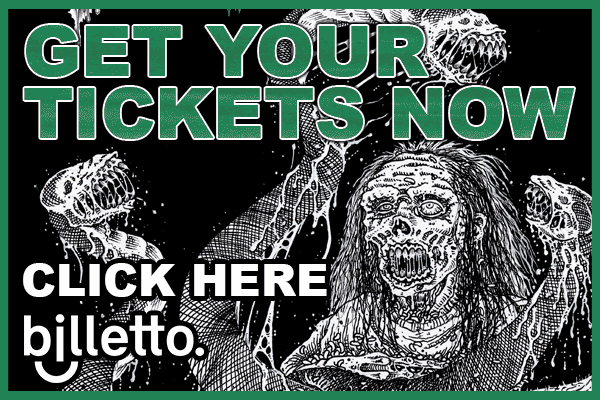 While Necrowretch’s roots reach deep into the underground scene, a German debut show with Asphyx, a mini-tour with Morbus Chron, notable festival appearances at Kill-Town Death Fest 2010, the Fenriz curated Live Evil fest 2013, PartySan 2014, Necrowretch has gathered many new followers over the past years, no matter if they come from a death, black or thrash background. Developing constantly further, while remaining true to their original harsh and primitive sound, the trio is eager to expand its live activities and will hit the roads of Europe in September with Cemetery Urn from Australia.